But what separates Papageorge from the rest is his literary ambition. 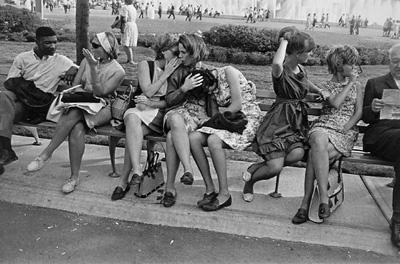 Winogrand’s pictures are all about process. 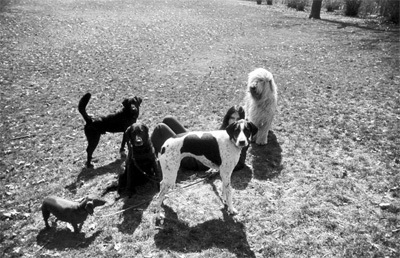 “I photograph to see what something will look like photographed,” he famously said. 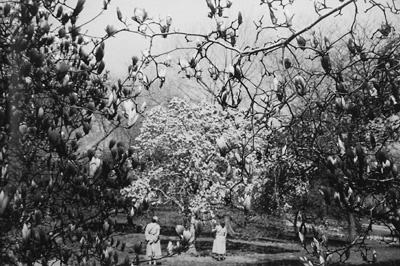 And while nobody would deny the lyric quality of many of Friedlander’s pictures, he never shows them outside the context of their category (trees, self-portraits, nudes, etc). 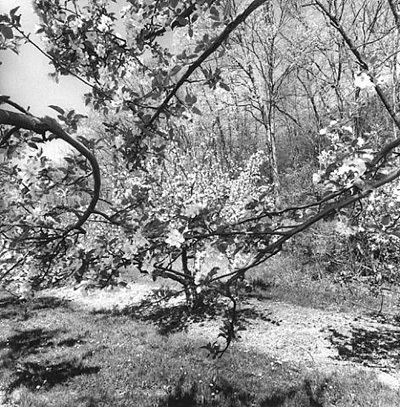 With Passing Through Eden, it is like Papageorge took Friedlander’s deck in one hand, Winogrand’s in the other, and performed a masterly shuffle. The sequencing of the book, or at least the first half of it, is quite literally based on the first six chapters of Genesis. The world, or Eden, or Central Park, is created in the first half-dozen pictures, one for each day of the Creation: Adam appears as a pile of molten dust, then as his radiant self; Eve arrives opposite a picture of bleached branches that, to me, suggests her emergence from Adam’s rib; and on it goes through the snake, the apple, Adam and Eve’s shame, the Expulsion, Cain and Abel, Enoch, and, lost in themselves and the park grass, a few of the generations that follow them. After that, and unlike what in the Bible becomes an indictment of Man so profound that it requires the correction of the Flood, follows what I think of as a long chapter of takes from the human comedy, Manhattan-park-style. While I guess this sounds crazy at best and, at worst, a crude use of my photographs—after all, the last reason these pictures were made was to illustrate something—the fact is that attempting to weave these disparate images into some twentieth-century New York City version of the First Story gave me a form that I felt could provide a much more flexible armature for the shape of the book (and the large number of pictures I wanted to include in it) than the usual photographic monograph. I also wanted to make a book that could be understood in as many ways as possible, even if it risked the possibility that a reader more interested in decoding the sequence of Biblical references could well miss the ambition informing the pictures, and what I hope is the poetry animating them. And, since I believe—and teach—that photography is, for some photographers anyway, a practice at least as close to writing as the other visual arts, I thought why not put my money where my mouth is and make something that exposes that belief by demonstrating it not only with pictures, but also in the literal way the sequencing of those pictures parallels and, to some degree, calls up the elemental narrative we all know. 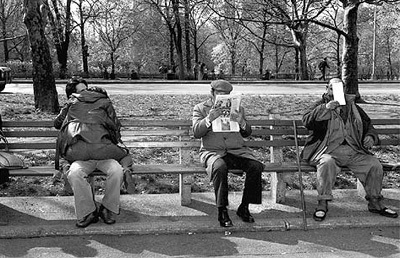 The ‘Tod Papageorge Week’ is very interesting for me, because I’m a big fan of Friedlander and Winogrand and I never heard anything from Papagerorge in Germany, because there was no book. I must have the book. Thank you for enthusiastic research!